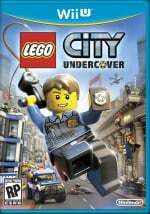 Last year's LEGO City Stories is now LEGO City Undercover, and judging from the first gameplay trailer below it could be quite special. The open world genre might be the preserve of the more adult titles these days, but LEGO City Undercover keeps things distinctly family-friendly by having you solve crimes instead of committing them. You can scan areas with the Wii U GamePad to spot hidden criminals before giving chase in vehicles or on foot to apprehend them. Anyway, we think it looks great, but what do you think? I'm not a fan of LEGO, but I thought that this actually looks pretty cool. I like how the trailer shows the Wii U controller in action. Thats the first time I have seen it in use. 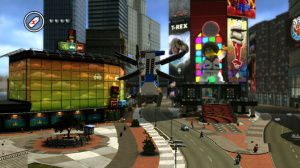 As for the game looks like GTA gone Lego. Are the crimes themselves interesting to solve? That will make or brake the game for me. Looks pretty cool. Like GTA, but family friendly. This could very well be the breath of fresh air that the TT Lego games need. It can't be good when a Lego game steals the show, but I think it did. It actually looked really good and rather humorous Its good because while the Lego games are great they do all play the same.This looks like it is trying a lot of new things.Is this a WiiU exclusive? Along with Pikmin the highlights of the show! Looks absolutely awesome. Never thought the Lego games looked interesting, but WOW! This could be quite a bit of fun. Hey guys did u know that Chase McCain is a legend!? OMG!!! This one's high on my list! I was a huge LEGO fan as a kid and I think I might really enjoy this. Yeah really I'd say this was one of the best titles at E3. This and Pikmin! And It look like an exclusive as well. This looks great, can't wait! Not interested, but for what it is it does look pretty solid.I'm still baffled that Nintendo thought it was a better idea to showcase Sing, Just Dance 4 and 'this' over their new Wario game....maybe they didn't want to show off another mini game collection since Nintendo Land already had that Count Chocula(ohhh yaaa)-covered. Wonderful! This reminds me of the Lego Island games from my childhood, so it's day one buy for me. I haven't posted here yet? This was the best game they showed, IMO. It looked really fun, with the platforming, Ninja moves, and different environments. Looked hilarious as well. I'll be getting the 3DS version, though, assuming it's the same game for the most part. GTA in LEGO form? Sold. Did I hear a Zelda sound somewhere in the middle? This, Rayman, Mario, and Pikmin have helped me decide that I will get a WiiU. The second they said it was open-world, they had me. From the trailer this game looks very interesting. I'm glad to see LEGO games try something new. They really did get all-sameish from the ones I have played. I'm tired of the Lego games, but the changes made to this game make me wanna give it a shot. Love that there is voices now too. I personally like the LEGO video games, so i like this game. it looks cool with the new features not in the previous ones (although i could've been ok with the original "city stories" title). i look forward to this game. Looks great, but I'll probably get the 3DS version if it's the same game.